The world’s most highly talented tech innovators, entrepreneurs and dealmakers will gather at the 2nd China Innovation & Entrepreneurship International Competition to be held in Shenzhen in April 2018. 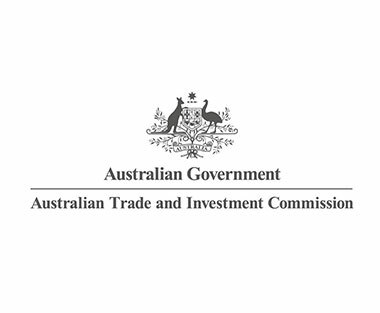 The competition- which has now been officially launched – will initially be held in nine cities across eight countries with Sydney to hold a regional competition for the second time. More than 100 finalists and their projects will then gather in Shenzhen in April 2018 and take part in various rounds of fierce competition with the aim of taking out first prize. To encourage the most innovative talent to register, total cash prize pool has risen to RMB 10.91 million (A$2.2 million) from RMB 9.112 million (A$1.8 million) last year. In addition to big cash prizes, the competition also provides policy support such as talent incentives, industry awards, science and technology finance and project incubation for talents, teams and projects in Shenzhen. The registration of this competition has already begun with a deadline of 28 February 2018. Shenzhen has been hosting the innovation and entrepreneurship competition globally for two consecutive years, attracting more than 1,800 outstanding projects from 24 countries. Well-known professionals have been invited to be judges including Barry Marshall, the winner of the Nobel Prize in Physiology or Medicine, George Slimt, the winner of the Nobel Prize in Physics, and Donald Wright, the president of the Wellington Financial Group in Canada. The second edition of the China (Shenzhen) nnovation and Entrepreneurship International Competition has just officially launched, "aiming to gather global high-end talent quality projects, integrate innovative entrepreneurial resources, and help Shenzhen build international science and technology, industry innovation centre". We're told the competition "will be held in nine cities across eight countries and it is the second time to hold the regional competition in Sydney". "China Shenzhen has been hosting the innovation and entrepreneurship competition globally for two consecutive years, and successfully attracting more than 1800 outstanding projects from 24 countries," a statement from the organisers says. "As a platform to stimulate the innovation potential and vitality, the competition provides the driving force for innovation-focused development and creates new opportunities for technological innovation in Shenzhen." The statement tells us "the registration of the competition will start from 1 December to 28 February 2018 and its pre-selection will be started simultaneously. Next April, more than 100 outstanding projects will gather in Shenzhen and aim for the highest honour and award, performing various rounds of fierce competition by Professional Finals, Industry Finals and Finals. "In order to encourage more entrepreneurs to participate in the upsurge of innovation and entrepreneurship in Shenzhen", the total cash prize pool has risen from RMB9.112 million last year to RMB10.91 million. "In addition to big cash prizes, the competition also provides policy support such as talent incentives, industry awards, science and technology finance and project incubation for talents, teams and projects in Shenzhen. "The registration of this competition started on 1 December with a deadline of the end of February 2018." Registration can be done at the competition's official website. "The competition finals have invited well-known professionals as judges including Barry Marshall, the winner of the Nobel Prize in Physiology or Medicine, George Slimt, the winner of the Nobel Prize in Physics, and Donald Wright, the president of the Wellington Financial Group in Canada. "The host city has attracted talents at home and abroad for entrepreneurial development for its open, inclusive and innovative culture. There were 982 participants from different countries other than China (53.8% of the total). The city's high-quality environment for innovation and entrepreneurship has impressed global talents through the international competition, while the city image of innovative and its international popularity have been further enhanced. "Participants with a master's degree or above accounted for 67% of total enrollment, including more than 40% with a doctoral degree. The categories of projects are mainly concentrated in the field of Internet and mobile Internet (information technology) industries (31.8%), electronic technology industry (29.5%), and biomedicine industry (18.1%). "According to the competition results, for the 99 projects participating in the finals, 65 projects have reached initial co-operation with various parks in Shenzhen, and 11 have officially settled in Shenzhen. Four people have been identified as Shenzhen Peacock Plan Talents and one project team has won funding from Shenzhen Peacock team. Directed by the Ministry of Science and Technology and State Administration of Foreign Experts Affairs of China, "this year’s competition is sponsored by the Shenzhen Municipal People's Government and undertaken by Shenzhen Baoan District People's Government, Shenzhen Longgang District People's Government, Shenzhen Pingshan District People's Government, Shenzhen Human Resources and Social Security Bureau, and Shenzhen Municipal Commission of Science and Technology Innovation". The Second China (Shenzhen) Innovation & Entrepreneurship International Competition sticks with four key features: focusing on high end and expanding the competition scale, planning the future to improve professional standards, providing opportunity to participate in industry competitions and gathering resource to promote market participation. Focusing on high end and expanding the competition scale: To attract more global talents to Shenzhen, this year’s competition has expanded into Sydney, Toronto, Berlin, Tel Aviv, Tokyo, Stockholm, Boston, Silicon Valley and London. Planning the future to improve professional standards: In order to vigorously implement the innovation-driven development strategy and form the industrial structure of echelon development with new competitive advantages, on the basis of five major industry competitions of Internet, advanced manufacturing, electronic technology, biology and life sciences, materials and energy (including energy saving and environmental protection), this year’s competition includes three additional fields of Internet of Things, Artificial Intelligence and anti-cancer technology. Providing opportunity to participate in industry competitions: Awards and cash prizes are set in four competition sections in this international competition, namely, the overseas finals (total cash prizes of 2.61 million yuan), professional competitions (total cash prizes of 1.5 million), the industry finals (total cash prizes of 2.5 million) and the finals (total cash prizes of 4.3 million), where the final winner will have the opportunity to achieve a total cash prize of RMB 1.4 million yuan. Gathering resources to promote market participation: Thirty-four 34 entrepreneurships and investment institutions are participating this year. Investors from investment institutions in Shenzhen will serve as judges and mentors to carry out project docking activities during the preliminary competitions. All participating projects can gain investment opportunities of social capital through the investment docking service platform. Meanwhile, two banks will be selected to carry out various forms of financial service solutions such as "Investment & Financing Loan" and "Talent Loan", enriching the financing choices of land-based enterprises and help participants to faster realise landing development. 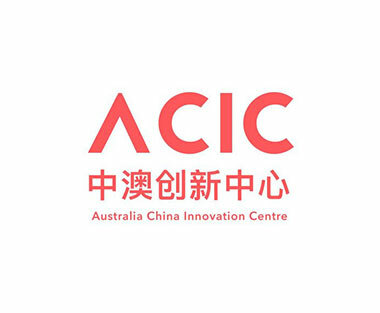 Curtain has come down on 30th March 2017 for the Australia Divisional Final of The First Innovation and Entrepreneurship International Competition Shenzhen, China. 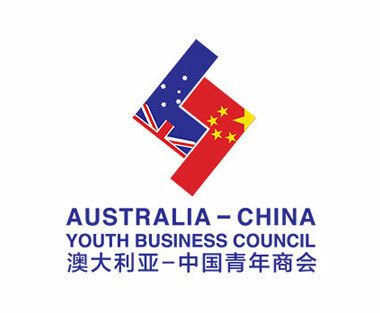 The competition is sponsored by the Municipal Government of Shenzhen and co-hosted by Longgang District Government, Pingshan District Government, Shenzhen Bureau of Human Resources and Social Security and the city’s Technology and Innovation Committee, with the assistance of SETO Australian and AUCNTV. The Australia divisional final was held in the famous Sydney Opera House. Xuelian Zeng, Deputy Director for the Shenzhen Bureau of Human Resources and Social Security, Yanyan Zhao, Deputy Director for the Organisation Department of Longgang District Government and Ting Gong, Principle Staff Member for the Shenzhen Bureau of Human Resources and Social Security gave guest speeches. In her speech, Ms Zeng acknowledged the role that innovation plays in driving global economic development. She introduced Shenzhen as the leading city in the Chinese Economic Reform and a role model in China’s Independent Innovation Scheme. “Innovation is carved into the city’s heart and should, and has become part of its new inner spirt and new city culture.” She said. Shen then welcomed all overseas talents to come to Shenzhen to take their careers to the next level. Over 100 submitted projects has gone through four months of rigorous evaluation, with just 20 making it into the the divisional final. The projects span multiple industries such as internet and mobile internet, electronics technology, biology and life science and material and energy science. The competing teams were expected to pitch their project within a short time-frame and give clear answers to all kinds of challenging questions regarding the projects’ originality, technology and market expectation thrown at them by the judges. After 3 hours of fierce competition, “Sonder Design” and its e-ink keyboard project was awarded first prize. 10 teams including Sonder will go to Shenzhen to compete with other qualifying projects picked from 7 divisional globally. The industry-specific final will be held on 13th April and the grand final will be held on 14th April. The final prize money could mount up to 1 million Chinese Yuan at maximum. In the Australia Divisional Final, 1 First Prize, 2 Second Prizes and 3 Third Prizes have been announced. The winning teams will respectively receive 100 thousand, 50 thousand and 30 thousands Chinese Yuan of prize money. In Yanyan Zhao’s guest speech, the Longgang District Government also has strategic plans to attract hight quality projects, startups and talents to the district. Councillor for Science and Technology Affairs at the Consulate-General of the People's Republic of China, Zhiyong Qi and Member of the Georges River Council, Nancy Liu also attended the Australia Divisional Final. Do you have the ambition to create an empire but lack the necessary resources? Do you possess leading-edge technologies but not a commercial platform? Do you aspire to enter billion dollar markets but find no way in? Or, do you just have a ground-breaking idea, but shortcuts to success are nowhere to be seen? 1.82 million dollars prize money! 140 million dollars venture capital funds! Participate in the First Shenzhen Innovation and Entrepreneurship International Competition, and Fly With Shenzhen into the future! Come and let’s talk money. Competition, and Fly With Shenzhen into the future! We will have a launching ceremony / demonstration in Haymarket HQ at 7pm on Jan 31, to introduce this competition, communicate with the startup community and hopefully get everyone on board. Come and get a bite. Let’s talk money.